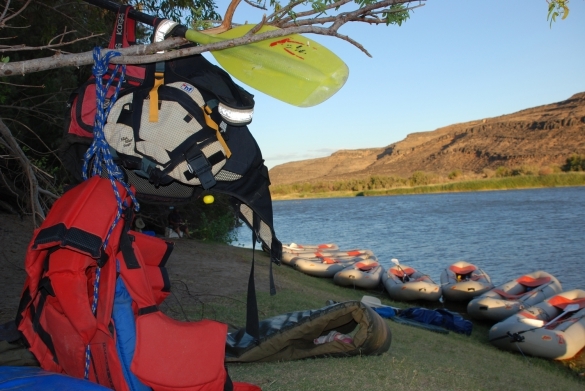 Full day orange river rafting Trail: This is a perfect one-day adventure in the Richtersveld. The full-day trip will start and end at our base camp The Growcery Camp. This Full day orange river rafting is perfect for those that have no previous paddling experience. Our team will supply all rafting equipment and transfers to the starting point of our trail. The point of departure varies, all depending on the water level of the Orange River. 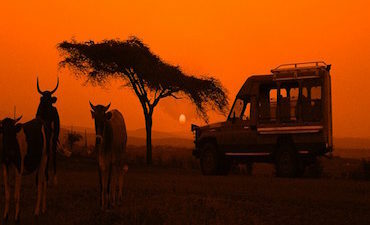 What to expect: We start our day at 9 pm and depart from our base camp to the launch of the full day adventure. We will load our rafting gear and prepare for the day of adventure that awaits our paddlers. 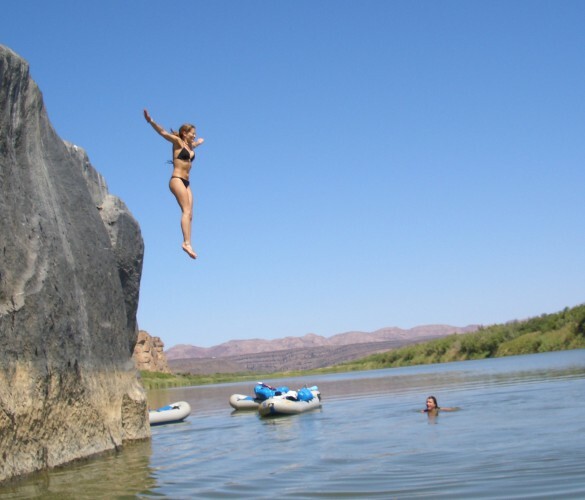 The full day orange river rafting will be along with some farms and spectacular rock formations. The section of the river is the last part before entering the Richtersveld community reserve. We make use of two-man inflatable rafts. Paddling along the river is the best way to relax and discover the ecosystem of the Richtersveld desert. Our day is filled with some rapids and fast-flowing channels. The reed beds along the river provide the perfect breeding ground for an abundance of birds. It is not uncommon to hear the call of the fish eagle or to stumble upon a Goliath Heron. Some fast flowing rapids and weirs. You can see Excellent Birdlife along the Orange River. A very relaxed day along the Orange River. Tour ends back at the Growcery Camp. 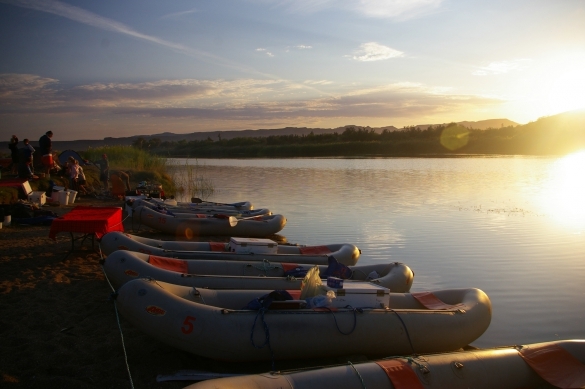 Full day orange river rafting trails must be booked 24 hours before departure. Own extra snacks if needed.